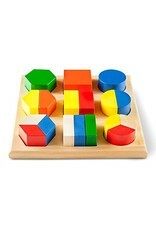 A great way for young children to explore fractions using a variety of brightly colored wood block shapes. This set divides the circle, hexagon, and square into halves and thirds. 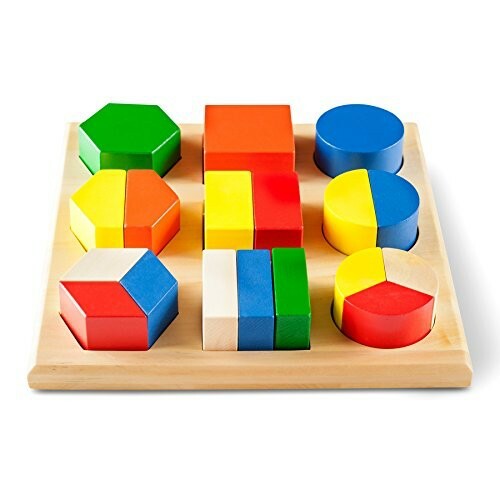 A whole form of each shape is also provided so children can compare (side by side, stacked on top, etc. ).